No longer 500 Wii Points. And about time too! 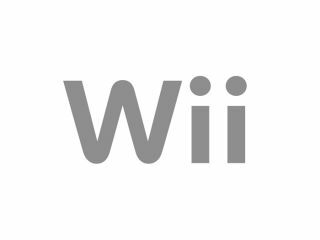 Nintendo has announced that Wii owners will now get the Wii Internet Channel for free. Charging customers to download the Opera internet browser for Wii was becoming increasingly untenable (even a tad mean-spirited). Still, it is pretty cool for those households that don't have any other way of accessing the internet via their lounge-based TV. "By connecting Wii to the internet, you are opening your living room up to a world of possibilities!" Nintendo's press release cheerily informs us. "The Wii-specialised web browser enables people to connect wirelessly to the internet to surf the internet, do their internet shopping and even watch online catch-up TV services via their console." The Wii's now-free internet browser will forge nothing less than "a new relationship between the family, the TV, and the internet" claims Nintendo. The Wii's Opera Software supports Adobe Flash, so you can enjoy the BBC iPlayer via your Wii Internet Channel – should you not be able to access it already through TV offerings such as that from Virgin Media. And if you have already shelled out 500 precious Wii Points for Nintendo's Wii Internet Channel? Never fear, because Nintendo will give you a NES title from Virtual Console worth 500 Wii Points totally free. Stay tuned for further updates, with all the latest Wii news also available over on Nintendo's UK website. And you can read all about Opera's latest browser, released this week, right here on TechRadar.